Museum collection started off with just four trams in 1958 with a fifth arriving in 1959, the Museum has collected and restored a number of trams from not just Adelaide but from several other Australian States to show the progression of tramcar development over the years. Today, the Museum now has 26 trams, a horse box, 4 trolley buses, two horse trams and a diesel bus that followed the electric trams. Our collection is stored in five buildings. Below is a comprehensive list of our extensive collection. Ballarat No. 21 was originally Adelaide A-Type No. 10. In 1936 three A-Types, No. 10, 69 and 92 were sold to the SEC (State Electricity Commission of Victoria) for use in Ballarat.No. 10 was renumbered Ballarat No. 21. Its body was reconstructed in 1938 for one man operation and seats 32 passengers. In the 1960s the tram was fitted with dash canopy lighting to reduce the possibility of collisions at night. No. 21 operated until the closure of the Ballarat tramway system 19 September 1971 and arrived at the Museum less than a week later. It was one of five trams which took part in the official opening of the Museum tramway in 1974. During the period 1906 to 1926 many trams were built in Adelaide for use in Melbourne, Geelong, Ballarat and Bendigo. These cars were built by the local firms of Duncan and Fraser, Pengelly and Company and Holden Body builders. 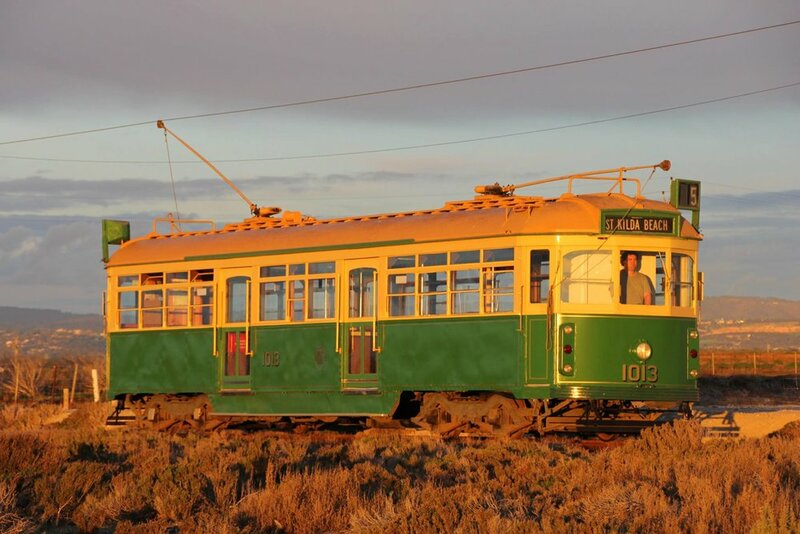 Ballarat car 34 was built in Adelaide for the Hawthorn Tramways Trust (which later became part of the Melbourne and Metropolitan Tramways Board). It was sold to the SEC in Ballarat in 1947. 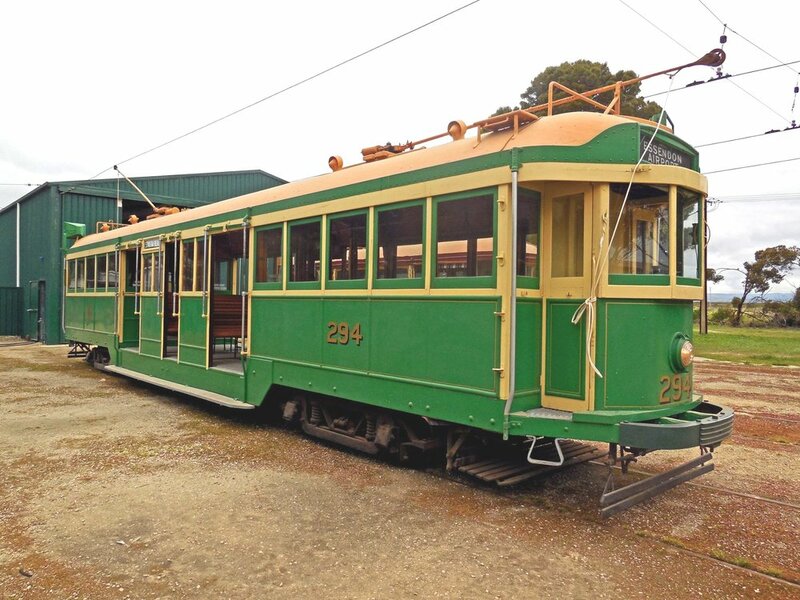 Car 34 operated until the closure of the Ballarat tramway system on 19 September 1971 and arrived at the Museum less than a week later. The fronts of the tram were repainted in the 1950s style without zebra striping and dash canopy safety lighting as seen on Ballarat tram 21. It was one of five trams which took part in the official opening of the Museum tramway in 1974. No. 294 was built in Adelaide in 1924 by Holdens Body Builders (later General Motors Holden) at Woodville for the Melbourne and Metropolitan Tramways Board. It was one of 406 Melbourne trams known as the W2 class. Some of these trams lasted in service until the late 1980s. Car 294 was purchased by the Museum and arrived on site in April 1977. It has been restored to its 1950s appearance. No. 354 is another W2 class tramcar and was built in Melbourne in 1927. It was obtained by the Museum in 1978 for use as a works tram. Essentially a shed on wheels. It is used by the Museum when carrying out maintenance of the track and overhead, and has proved its worth every time. Until the 1930s the predominant type of tram car on the busy Sydney tram system was the crossbench tram. By the 1930s passengers were seeking a greater level of comfort. New trams were built to a local version of the popular drop centre design used in Brisbane, Melbourne and Adelaide. These trams were designated as the ‘R’ class. However, a lack of seating compared with the crossbench trams resulted in the three separate compartments of these trams being replaced by one long saloon in the next version of these trams to be built which were designated the ‘R1’ class. They had a central entrance door and were known as Corridor trams (in reference to the long saloon). 50 of the ‘R1’ trams were built in 1936 and another 100 were built in 1952. Car 1971 is one of the first batch of ‘R1’ class trams. It was retired from service following the closure of the Sydney tramway system in 1961. It was restored by the Sydney Tramway Museum in the early 1990s and entered service at the Sydney Tramway Museum in 1992. 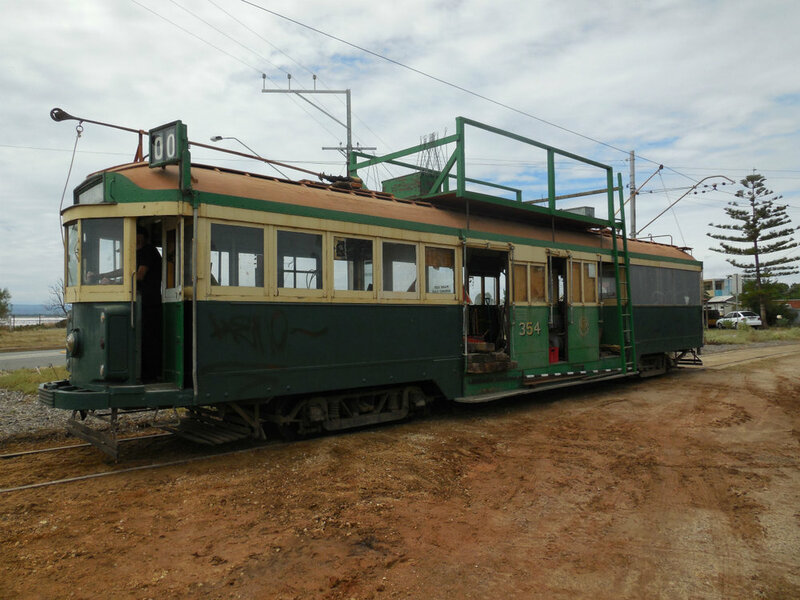 The tram is on loan from the Sydney Tramway Museum and arrived at St Kilda in December 2005. The final evoluation of the popular Melbourne W class dropcentre style tram which started with the W class in the early 1920s was the W7 class which was built in 1955. The major difference in appearance to earlier models was that the ‘W7’ class (along with the ‘W6’ class) had two driver/conductor controlled sliding doors on each side of the tram in the centre section. It is this feature which makes ‘W7’ class tram 1013 an excellent addition to the Museum fleet. The tram arrived at St Kilda in March 2005 and the centre saloon of the tram has been modified for disabled access. The wide sliding doors provide protection for disabled passengers in times of inclement weather.